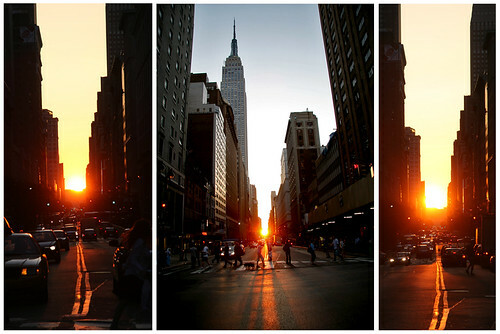 Manhattan Equinox, originally uploaded by seth_holladay. 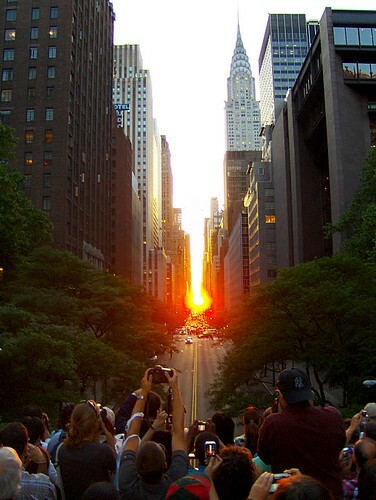 Manhattanhenge, originally uploaded by NewYorkDailyPhoto.com. 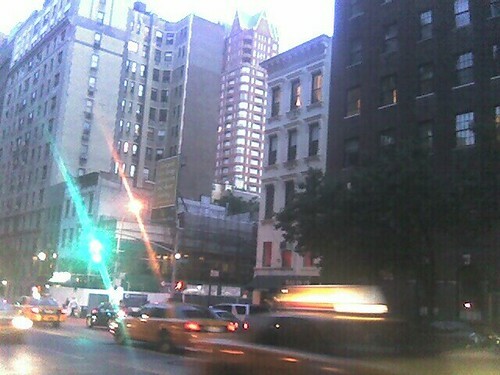 NYC Street, originally uploaded by KidneyNotes. Testing remote posting. Del.icio.us tag cloud now in the sidebar. Carry on. A hilarious introduction to Google Maps Street View. The Google Maps update with street level pictures allows you to virtually walk around a neighborhood using only the arrow keys. Try it out. 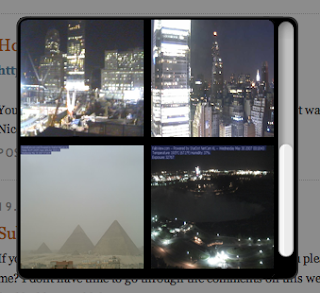 From my Mac dashboard widget of webcams. Time to sleep. I decided to make it more like a Tumblelog. I also eliminated the del.icio.us "tag cloud" at the top. There's a whole tour of kidney pathology with a detailed discussion on YouTube. Google said today in an SEC filing that it has invested $3.9 million in 23andMe, a biotech startup that's focused on allowing consumers to search their genome. GTD: Getting Things Done, originally uploaded by Emborg. The U.S. Food and Drug Administration (FDA) is aware of a potential safety issue related to Avandia (rosiglitazone), a drug approved to treat type 2 diabetes. Safety data from controlled clinical trials have shown that there is a potentially significant increase in the risk of heart attack and heart-related deaths in patients taking Avandia. However, other published and unpublished data from long-term clinical trials of Avandia, including an interim analysis of data from the RECORD trial (a large, ongoing, randomized open label trial) and unpublished reanalyses of data from DREAM (a previously conducted placebo-controlled, randomized trial) provide contradictory evidence about the risks in patients treated with Avandia. Patients who are taking Avandia, especially those who are known to have underlying heart disease or who are at high risk of heart attack should talk to their doctor about this new information as they evaluate the available treatment options for their type 2 diabetes. FDA's analyses of all available data are ongoing. FDA has not confirmed the clinical significance of the reported increased risk in the context of other studies. Pending questions include whether the other approved treatment from the same class of drugs, pioglitazone, has less, the same or greater risks. Furthermore, there is inherent risk associated with switching patients with diabetes from one treatment to another even in the absence of specific risks associated with particular treatments. For these reasons, FDA is not asking GlaxoSmithKline, the drug's sponsor, to take any specific action at this time. FDA is providing this emerging information to prescribers so that they, and their patients, can make individualized treatment decisions. "FDA remains committed to assuring that doctors and patients have the latest information available to make treatment and medication use decisions. In this case, FDA is carefully weighing several complex sources of data, some of which show conflicting results, related to the risk of heart attack and heart-related deaths in patients treated with Avandia," said Steven Galson, M.D., M.P.H., director of FDA's Center for Drug Evaluation and Research. "We will complete our analyses and make the results available as soon as possible. FDA will take the issue of cardiovascular risk associated with Avandia and other drugs in this class to an Advisory Committee as soon as one can be convened." Avandia was approved in 1999 for treatment of type 2 diabetes, a serious and life threatening disease that affects about 18 to 20 million Americans. Diabetes is a leading cause of coronary heart disease, blindness, kidney failure and limb amputation. Since the drug was approved, FDA has been monitoring several heart-related adverse events (e.g., fluid retention, edema and congestive heart failure) based on signals seen in previous controlled clinical trials of Avandia alone and in combination with other drugs, and from postmarketing reports. FDA has updated the product's labeling on several occasions to reflect these new data, most recently in 2006. The most recent labeling change for Avandia also included a new warning about a potential increase in heart attacks and heart-related chest pain in some individuals using Avandia. This new warning was based on the result of a controlled clinical trial in patients with existing congestive heart failure. Recently, the manufacturer of Avandia provided FDA with a pooled analysis (meta analysis) of 42 randomized, controlled clinical trials in which Avandia was compared to either placebo or other anti-diabetic therapies in patients with type 2 diabetes. The pooled analysis suggested that patients receiving short-term (most studies were 6-months duration) treatment with Avandia may have a 30-40 percent greater risk of heart attack and other heart-related adverse events than patients treated with placebo or other anti-diabetic therapy. These data, if confirmed, would be of significant concern since patients with diabetes are already at an increased risk of heart disease. Avandia is manufactured by GlaxoSmithKline, which is based in Research Triangle Park, N.C.
Flickr: View of several volcanoes in a caldera from Gunung Penanjakan (2700m). Indonesia, Surabaya. View of several volcanoes in a caldera from Gunung Penanjakan (2700m). Indonesia, Surabaya., originally uploaded by porifera. I understand that you're expecting a talk about where the next 20 years are taking us, how far technology will go, how people will use the net, and whether big shoulder pads and food pills will be fashionable. After 11 days in intensive care, eight of them on a ventilator, and three operations on his leg, Mr. Corzine was released from the hospital on April 30 and resumed his official duties as governor six days later. "What data do you have to assure me that this is not Miracle-Gro for cancer?" A COUPLE of weeks ago I saw a new scientific paper from Clemson University that struck me as both pioneering and hilarious. Yet the plumbing analogy causes serious confusion regarding heart disease, and as a result, we've wasted a lot of time and money on cardiac angioplasty that does no good. Live Webcams - Free, public web cams found online. Google TechTalks are designed to disseminate a wide spectrum of views on topics including Current Affairs, Science, Medicine, Engineering, Business, Humanities, Law, Entertainment, and the Arts. Join the 24 Hours of Flickr group to get ready for the big day. After the big day, post your best photo to the group. We'd love to see the group photos on a map as well, so make sure you add your photos to the map using the Organizr. The event will be commemorated by a companion 24 Hours of Flickr book, which will contain a selection of photographs chosen from the group. Additionally, the group's photos will be featured at Flickr events around the world this summer. Books will be sold at cost (the amount will be available in the near future) with Flickr donating $1 for each book sold to Médecins Sans Frontières up to a total of $10,000 USD. By adding your photo to this group, you understand that it may be selected for publication in the 24 Hours of Flickr commemorative book and/or displayed at a Flickr-sponsored event this summer. Grand Rounds, this week's best posts of the medical blogosphere, is up at Shrink Rap. Thanks for including my posts, An Introduction to Medical Podcasts. With nearly 70 categories, Website entries make up the majority of Webby Awards Winners, Nominees and Honorees. Some are beautiful to look at and interact with. Others are a testament to usability and functionality. A strange new plague is wiping out our honey bees one hive at a time. It has been named Colony Collapse Disorder, or CCD, by the apiculturalists and apiarists who are scrambling to understand and hopefully stop it. MEDgle has been getting a lot of attention lately, but it's model isn't really new. There are actually a good handful of tools with which one can search by symptom. "Cleaner environments do not have enough microbial components to trigger the immune system response." With this report, we expand on this tradition by introducing information and analysis relating to the broader range of social media on the Web -- what we and many others call the Live Web. As stories connected to the software key were deleted, users resubmitted them in the thousands, causing every top story on the site to include a reference to the hack or censorship. The name (and logo) are probably references to the turning of the feedback cycle of the renin-angiotensin-aldosterone system. Sermo, a social-networking site for physicians, thinks large investors may be willing to pay big bucks for doctors' collective insight. In this part, I'll look at two other ways of searching for more detailed, professional-level health information: PubMed and Google Scholar.